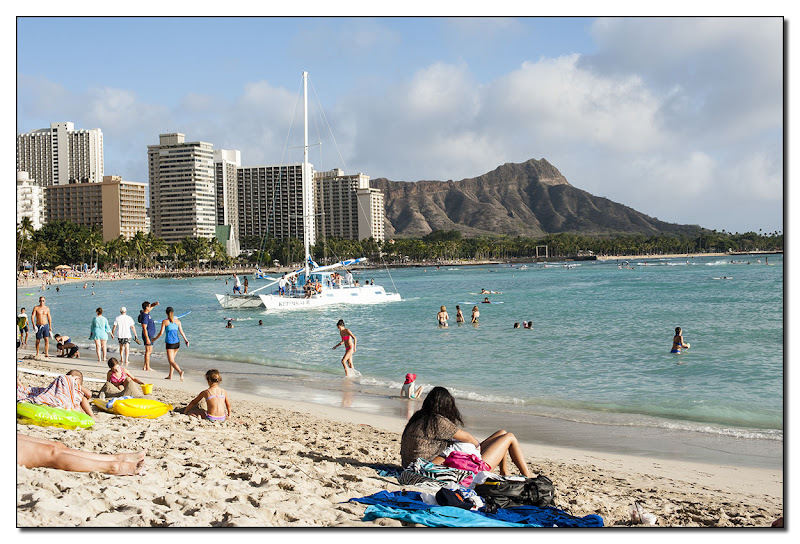 A more famous Hawaiian beach than yesterday, with Diamond Head in the background. This is a classic image, reminding me of the years I lived on Oahu as a child when my father was in the NAvyu. You chose a good time to show Hawaiian photos. The tourist board will be sending you a check. Don't you wish you could see this scene without the hotels and other high rise buildings obscuring Diamond Head? A great shot of an Iconic beach. I have stayed at several hotels on this beach and they are surprisingly inexpensive. Hawaii is full of beautiful surprises.